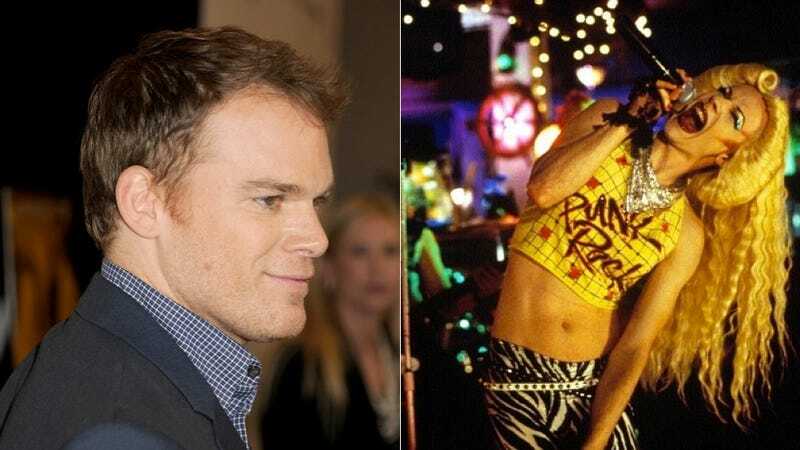 Broadway's production of Hedwig and the Angry Inch will take a surprising turn when actor Andrew Rannells finishes his run as Hedwig on October 12th. The next performer to pull the wig down from the shelf is none other than Dexter's Michael C. Hall. We know he can sing, but can he do it in heels? According to the Hollywood Reporter, Hall will fill the role — for which Neil Patrick Harris recently won a Tony — from October 16th to January 4th. Lena Hall, who also won a Tony this year, will remain in the role of Yitzhak.